I have such a hard time finding healthful snacks that my twelve year old son will eat. I mean, if it isn't spicy Doritos, he'll ignore it. 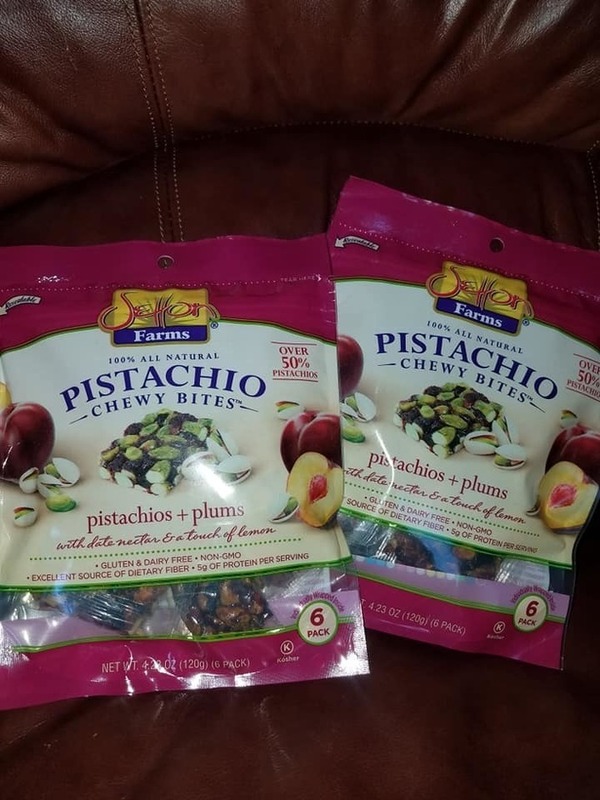 But thankfully, I was given the chance to try out NEW Pistachio + Plum Chewy Bites from Setton Farms, and my son actually liked them! What a miracle! These chewy bites are a great snack for busy parents on the go and hungry kids! 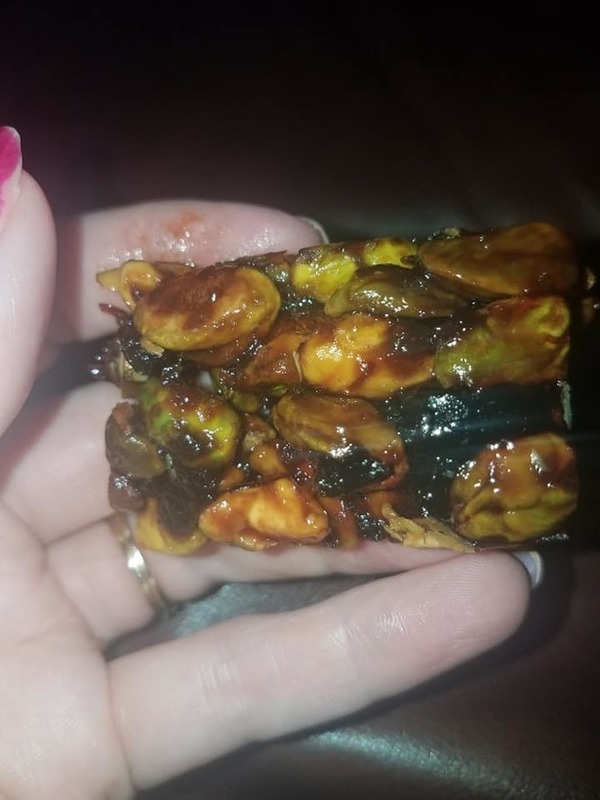 The all natural, bite-size bars are packed with over 50% pistachios that were all grown in California’s Central Valley. Pistachios are super healthy and are loaded with protein, fiber, potassium, antioxidants, and Vitamin B6. 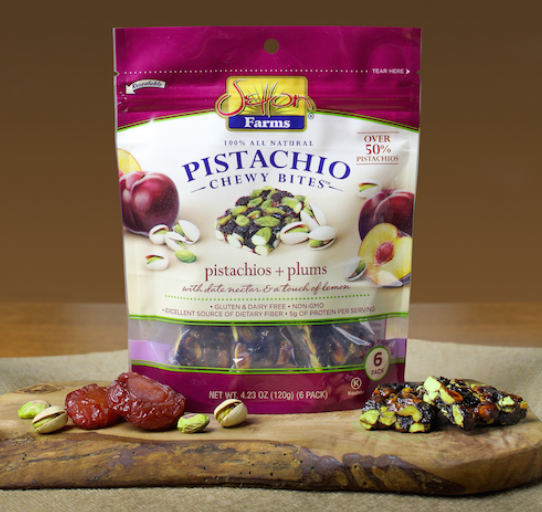 Pistachio + Plum Chewy Bites are an easy way to get your daily dose of pistachios. Ideal for a mid afternoon or on-the-go snack, the individually wrapped bars are easy to toss in lunch boxes, gym bags, or in the car. They are so delicious, I could eat them all day long! As you can see in the picture below, they can get a little messy, so be sure to have plenty of napkins, and/or wet wipes on hand. But every morsel of this ooey-gooey goodness is purely delightful!